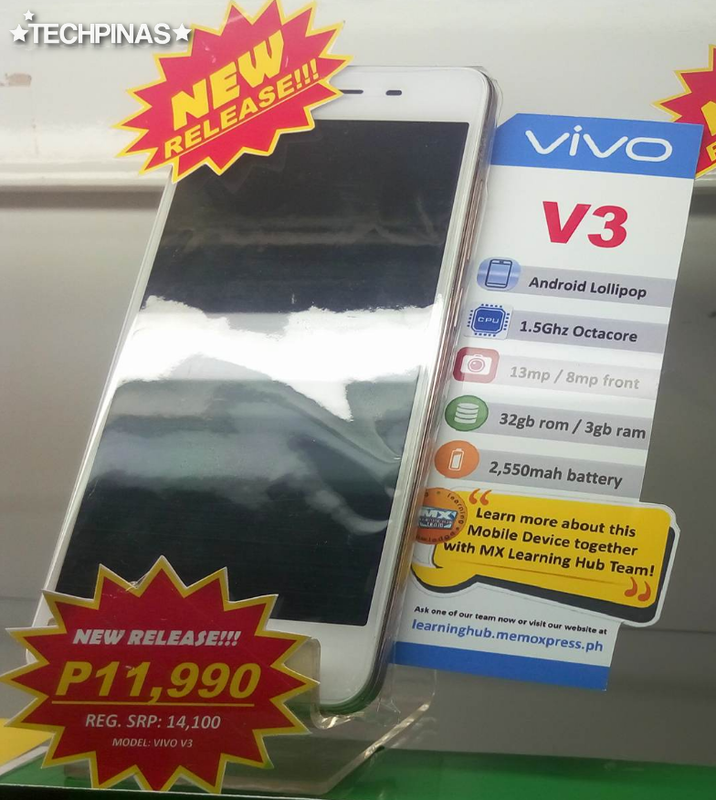 Great news for Pinoy consumers who've long been waiting for the local launch of Vivo V3, the more affordable and smaller model of the duo that was formally announced by the Chinese handset company in Mumbai, India last April 5, 2016. Earlier today, TP Friend Charles Quiachon sent me this photo via Facebook; The image - which he snapped at CyberZone SM North EDSA Annex - pretty much confirms that the stellar Android smartphone is now officially available in our country. 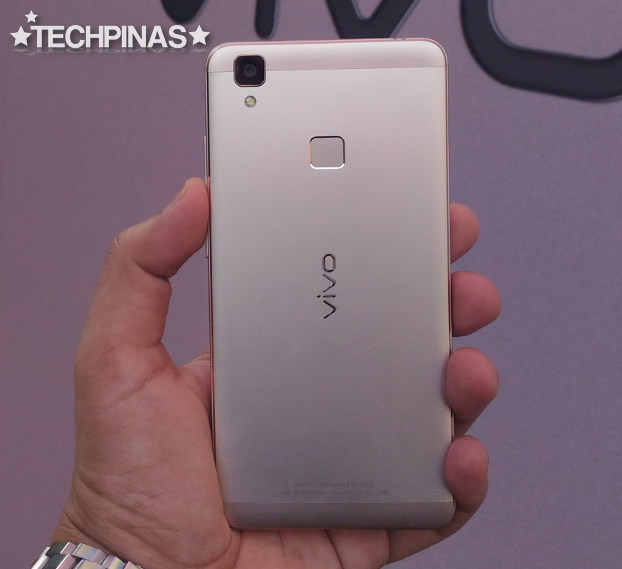 Its release came hot on the heels of the local launch of the bigger Vivo V3 Max phablet, which hit store shelves nationwide just a couple of weeks ago. 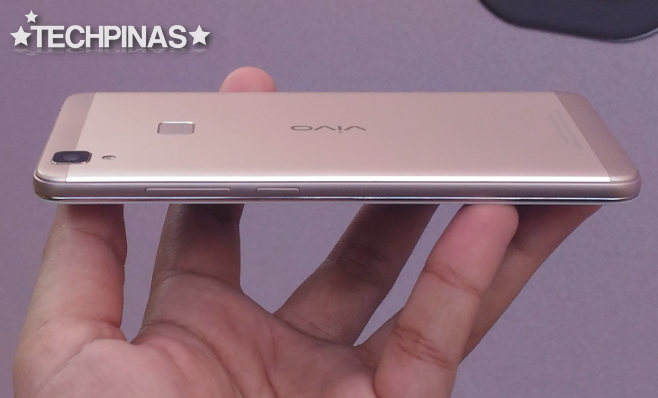 Akin to its larger sibling, Vivo V3 flaunts a diamond-cut magnelium alloy unibody shell that looks downright elegant. The curved 2.D glass face even adds an air of sophistication and makes the device even nicer to hold. Design-wise, this model - I'd say - is definitely one of the best in its price bracket. 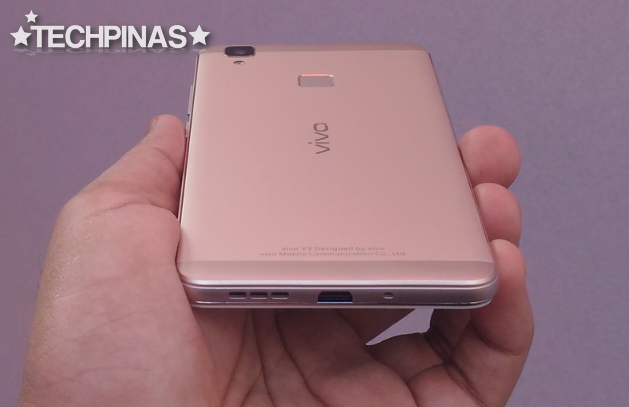 As for specs, Vivo V3 is equipped with a 5-inch HD IPS screen that looks vibrant and clear in various viewing angles. At the back, there's a 13 MegaPixel camera with phase detection autofocus, which is complemented by an 8 MegaPixel selfie cam in front. Both shooters benefit from Vivo's Ultra-HD mode, which further enhances the clarity of detail in each shot. At its heart, this handset runs its FunTouchOS-flavored Android 5.1 Lollipop OS with a 64-Bit Octa-Core Qualcomm MSM8939v2 Snapdragon 616 chipset incorporating four ARM Cortex A53 cores clocked at 1.3 GHz, four similar CPUs clocked at 1 GHz, and an Adreno 510 GPU. Vivo V3 also has 3GB of RAM for smooth multitasking and comes wih 32GB of internal storage that users can easily augment using the secondary SIM slot that also supports microSD card memory expansion. Ideal for those who love listening to music on-the-go, Vivo V3 comes replete with an AK 4375 Hi-Fi chipset that lets the user hear more of the basses and trebles in each track -- both when using the included earphones or the loud speaker. Powered by a non-removable 2,550 mAh Li-Ion battery pack that should provide around a whole day of uptime, the sleek Vivo V3 has Dual SIM, Dual Standby capability and supports ultra-fast LTE Cat4 mobile connectivity. It also sports a Fingerprint Scanner under the camera module for quickly unlocking the device and logging into supported applications. 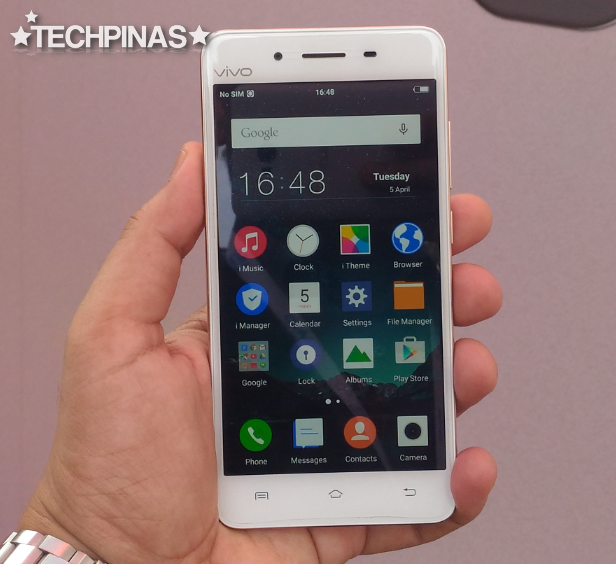 Vivo Mobile has a special treat for everyone to celebrate the local launch of this model. 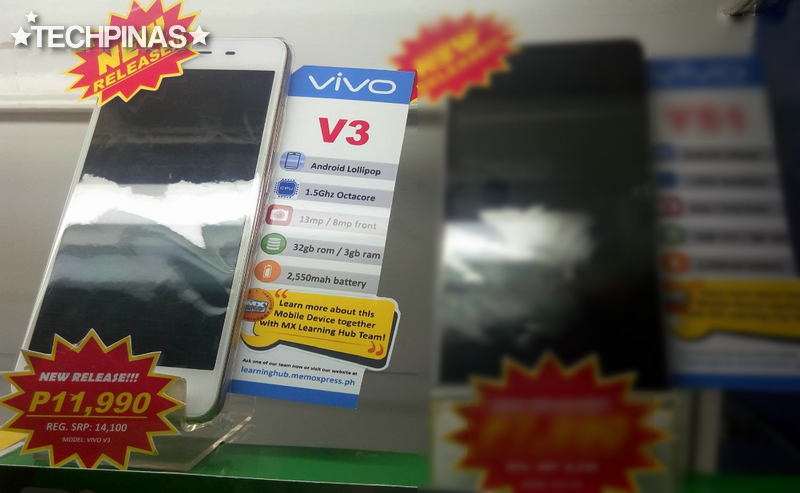 Vivo V3 has an official SRP of Php 14,100 -- but company has decided to bring its price down to just Php 11,990, perhaps to entice more consumers to check out the device. Sweet, eh? I've played with this smartphone and I'm personally vouching for its quality. If you ask me, at Php 11,990, I think it should be a great 'value for money' for purchase. 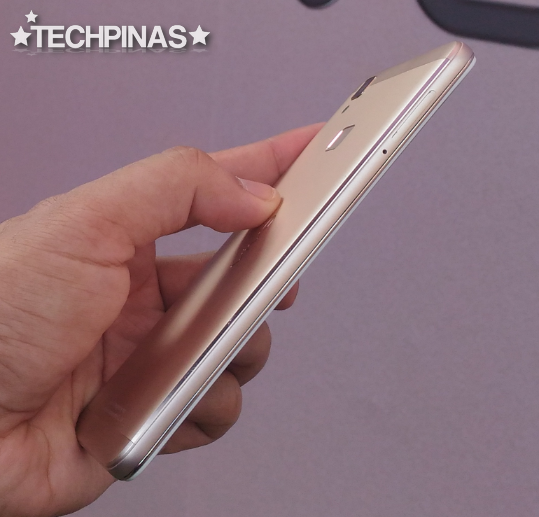 For me, the main selling points of Vivo V3 are its design, build, imaging capabilities, and more than decent internal hardware, delivering a smooth and stutter-free mobile experience.